Since 1985, Ralston, Pope & Diehl, LLC has provided devoted advocacy to injury victims in Kansas and surrounding states backed by our 100+ years of combined experience and an in-depth understanding of both medical reviews and liability laws. Our lawyers are recognized far and wide as legal leaders regarding medical malpractice, car accident, and trucking accident claims. 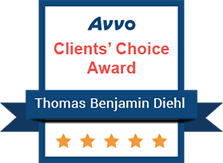 We have been named in Best Lawyers® Best Law Firms and Best Law Firms in Kansas (2018) by U.S. News & World Report, Attorney Tom Diehl was awarded the “Clients’ Choice Award” on Avvo, and multiple team members have been named to Kansas Super Lawyers®. Perhaps most important of all, we genuinely care about our communities, using our time to give back to our neighbors through sponsorships and charitable efforts. Office Today to Schedule a Free Consultation and Get Started on Your Case. Our proven legal team has recovered millions in verdicts and settlements for past clients. Our firm loves giving back to the community. We have sponsored numerous local activities and schools as a result. From personal injury cases involving aviation law to drone compliance, we have handled a broad range of legal matters. Throughout our century’s worth of total personal injury case experience, we have built not only our impressive knowledge of Kansas injury law, but also our reputation as a no-nonsense law firm. Insurance companies from all corners know we carefully build our cases for maximum legal validity, support our clients’ claims with strong evidence and solid arguments, and never accept anything other than a fair and maximized recovery amount on their behalves. It is our attention to detail and fighting spirit that have enabled us to reach favorable case resolutions for our clients in all manners of injury claims, time and again. When you want insight, compassion, and unmatched legal ability, look no further than our personal injury lawyers in Topeka.